Far about 12 km from the center of Bac Ha market, Lao Cai, Coc Ly Market is situated on the banks of Chay River. Unlike some northwestern markets gradually affected by color of travel trade, Coc Ly Market always attracts tourists to travel to Sapa thanks to its wild and idyllic characteristics. Those who would like to find a full definition of a pure rural market cannot ignore Coc Ly Market, Bac Ha. This unique feature offers Coc Ly to gradually become one of new attractive tourist attractions in Sapa. Coc Ly market does not always open every day but only on every Tuesday of the week. 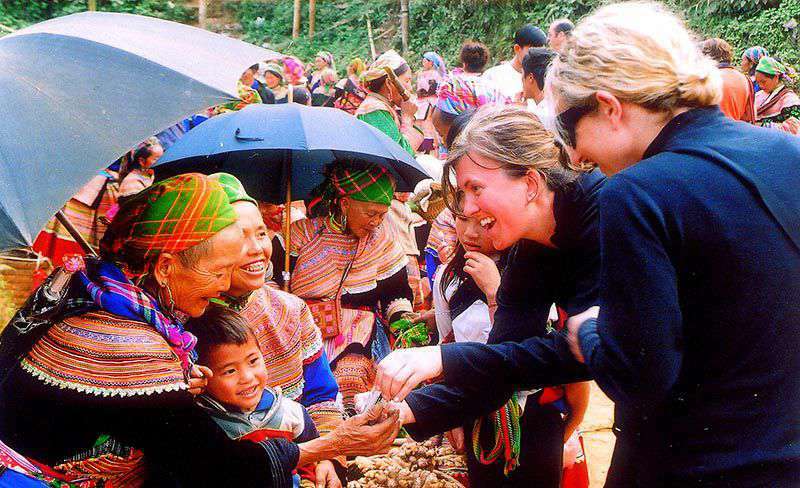 Despite not being a big market, it is so essential to ethnic minorities in the west ot Bac Ha. Having to say, this is where goods exchanging and purchasing of Hoa (Chinese) HMong, Dzao Den (Black Dzao) and Nung ethnic people take place. In addition, the market is a meeting place to display affection and feelings of ethnic minorities. Not merely exchanging goods, Coc Ly Market is one of the few markets in Sapa still retaining its traditional cultural features. Reaching Coc Ly Market on Tuesday, tourists will definitely find this place so interesting and active when walking from section to sections, corner to corners, seeing and smelling of different local product, spices, vegetable, farming tools, handicraft, even medicinal here, especially meeting smiling peoples everywhere. The market is always crowded for the whole morning and over after lunch time. Lives of those ethnic minor people is not always quiet and boring, aren’t they? Like other Sapa markets of the ethnic people, Coc Ly Market gathers the wide range of goods from local products to utensils brought from the plain region and China as well. The market is divided into separate pavilions, namely area for purchasing cattle, buffalo, horses, area for sale of fruit, living utensils and area for food courts. 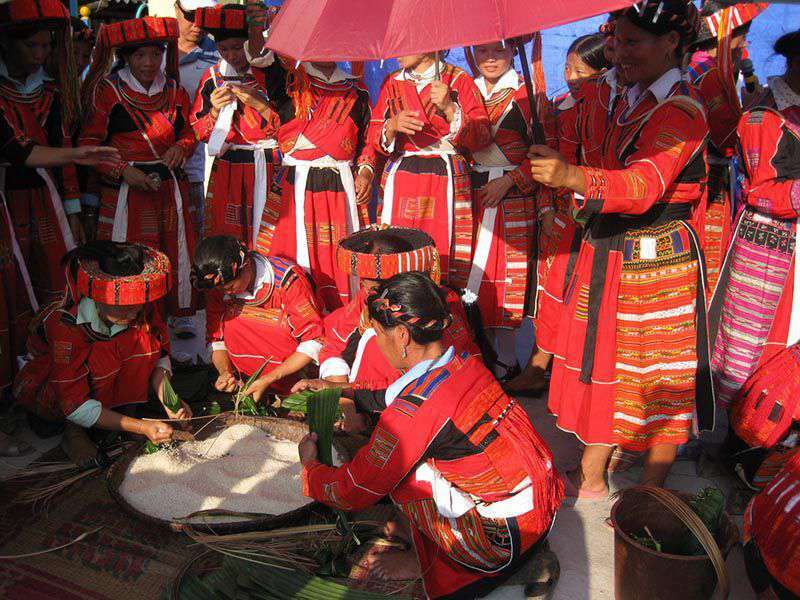 Tourists will have a chance to witness the costume of ethnic groups and hear their own languages. Hmong girls are tremendously beautiful in colorful dresses and graceful with umbrella passing overhead. They usually concentrate at the bridge to show off their colorful dresses and more importantly to find their partners. This is also distinctive characteristic of Coc Ly Market compared to other markets of ethnic minorities in Sapa. In case you have more free time, it would be great to discover the beauty of nature in this region instead of just reaching there only to see the market and going back home. Leaving the market, visitors can comfortably walk along Chay River to experience the tranquility of nature and the people here. The river becomes much more beautiful and poetic thanks to 2 majestic mountains. Both banks of the river are the beautiful sandbanks, villages of Tay, H’mong ethnic people, and wonderful waterfalls looking like flyaway white ribbon in the wind. Discover Coc Ly Market is actually an attractive tourist route but little-known. It is well suited for tourists who love to explore the cultural and natural beauty. It can be said that Coc Ly market is impressive highlight of Sapa tourism. 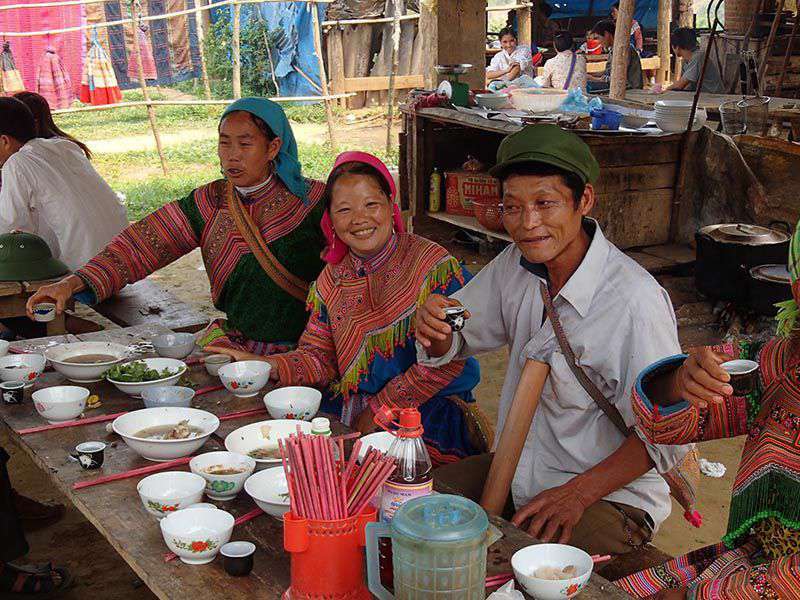 Going to Coc Ly Market is to soak up colorful cultural beauty, experience the meeting place of the loving couples, ascertain the daily activities of the locals; simultaneously, immerse in charming and poetic natural scenery.